Think about how many times your customers reference your website when you speak with them. Amazon, eBay and other big e-commerce websites have made online shopping a normal part of Canadian life and with the advances in mobile technology, it’s not going to slow down anytime soon. Companies that succeed with e-commerce have strong traffic. Sure, it’s great to have a lot of people load up your website, but the best results happen with strong and qualified traffic. Search Engine Optimization (SEO) is the great way to generate highly-qualified traffic for any businesses. Study after study concludes that people arriving from Google organic search results are more likely to purchase a product from your site than most other online sources. There are some really creative things you can now do with Google AdWords and social media advertising. Many of our Toronto e-commerce clients have found remarketing ads to be especially profitable. With this strategy, you can show targeted advertising to people who have already been on your website. People will see ads will they are browsing other websites, watching videos on YouTube, reading the news and countless other content types. Advertising will be shown on both mobile devices and desktop computers. Remarketing keeps your brand and products top-of-mind and entices people to come back to your website. Year-over-year we’re seeing more people use their mobile devices more to shop online. It’s amazing how many businesses still don’t have a mobile-friendly website. If your website doesn’t look good or function properly on a mobile device you could be losing sales daily. Online shopping should be easy and your e-commerce solution should make the purchase process easy and convenient. It begins by having simple to use navigation and clear call to actions throughout your website. Regardless if you’re selling a dozen product or thousands of items; people need to ability to instantly see information about products and effortlessly purchase them online. Make contact information very easy to find throughout the entire online purchasing process, online chat can be another feature that can help increase your online sales numbers. It’s important to have well-written product descriptions, clear photos and video, and accurately breakdown your prices. One of the biggest reasons people change their mind while shopping online is unexpected costs. It’s best to be transparent with your customers, make sure you show all pricing information along with shipping rates in advance. A lot of companies force people to create an account in order to buy something from them online, it’s usually best not to force this step on people. Creating an account takes time and the best e-commerce processes are streamlined. Instead, think about offering a guest checkout option. The more clicks it takes to purchase something on your website, this less you will sell. Selling stuff online doesn’t need to be complicated, overly complex navigation is a mistake that happens a lot on the Internet. Some of the most successful websites only have three basic steps: pick a product, add it to a cart, click checkout. Take a look at Amazon’s process, it’s designed to be simple and encourage impulse. Trust is another important factor when it comes to e-commerce, people want to trust companies before they offer their credit card number. There are a few things you can do to help customers trust your website. First of all, you’ll need to make sure that your website is secure. Most websites with e-commerce have SSL certification, it’s a common cryptographic key that keeps data secure. Your customers will most likely have a warning pop-up on their screen if you don’t have one. Most SSL certification providers will let you place a well-known security logo on your site, be sure to place these logos throughout your site. Let your previous customers help by showcasing customer reviews and testimonials throughout your e-commerce process. It’s human nature to worry about buyer’s remorse when buying things online. Feedback and reviews from others is a great way to build trust with your customers. There are many different online payment vendors out there that will process online transactions for you. Each of these vendors will come with their own options, support, account management and fees. Do your research and find the best solution for your business’ needs. Offer as many payment options as possible. Test your e-commerce often and ensure everything is working. E-commerce is an extremely exciting opportunity to generate more revenue for your business. Our team of developers offers innovative e-commerce solutions to businesses of all sizes. Want to learn more? Contact us today and our team will help you come up with an e-commerce solution that suits your business needs. Design is very important to your company. We live in the Internet age and people have an increasing lessening attention span. Well-designed marketing materials such as your website, logo, e-mail, mobile apps, direct mail and many other materials will make your brand stand apart from the competition. We offer custom design services in Markham, ON and throughout the Toronto region and we’ve worked on wide range of designs since we opened our doors back in 2002. During this time we’ve been fortunate enough to have worked with some really great clients, each with their own set of design needs and goals. Our goal is always to collaborate with our clients to create custom designs that are interesting and attractive. Graphic design can be a very time-consuming task. It’s not uncommon to go through many different versions of a design. Logos can be revised dozens of times before one is approved. Design is important and it’s worth getting right. 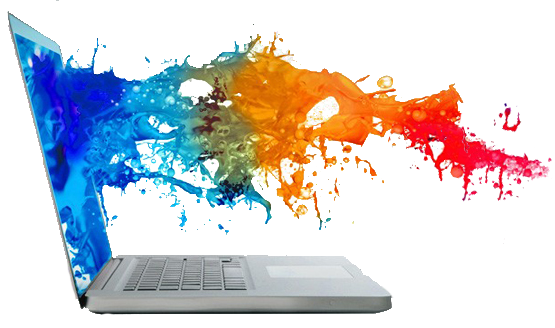 Outsourcing your graphic design work is a great way to free up your company’s time and resources. The money you spend to hire a professional graphic designer will undoubtedly pay-off in the long run. Even with a higher upfront investment, it’s usually cost-effective to hire an outside graphic designer for your marketing. Investing in outside design help will free up your workers time, allowing them to focus on tasks core to your day-to-day operations. Graphic design software isn’t cheap, it can quickly add up to a lot of money, especially when you take into account the possibility of needing to purchase additional computers with hardware that is capable of producing high-resolution design work. Custom graphic design agencies such as ours are staffed with experienced designers who have been creating professional designs for years. Customers are quick to judge nowadays and if your brand’s design work looks amateur people will instantly lose trust in your company without even getting to know you. One the biggest challenges in the graphic design process is to understand the goals and tastes of a company. Our team knows the right questions to ask. You may have an idea of a design in your head and an experienced graphic designer will ask the questions to get the job done right. An experienced designer will be able to provide multiple design proofs quickly. With a strong understanding of colour, typography, art and layout; you and your team with have the ability to see different design variations. Design software products are some of the hardest computer programs to master, it can take years of experience and training to really gain a good grasp of how to produce quality design work. Working with a professional design company can open the doors to some really exciting options. A professional designer will give your brand fresh perspective with cutting-edge graphics and flexibility. It’s important to find a designer that’s eager to work with your input. Once you find a Toronto company that offers custom design services they can help with ongoing projects. Over time you’ll develop a strong rapport with your designer, they’ll have a strong understanding of your business goals and brand and will quickly turn your ideas into reality. It’s best to find a design company that can offer different forms of media, this will provide you with more flexibility for future projects. Don’t be afraid to ask lots of questions when looking for a designer. Look through their past work and learn about the type of design they specialize with. A good design company will be happy to answer any question you have. We’ve been very fortunate to have worked with some great clients over the years. During this time we’ve developed some really great partnerships. Over time we’ve found that our designers gain an understanding of our client’s preferences as we learn about their brand and goals. We are a one-stop shop for all your custom design needs with years of experience designing websites, logos, banners, emails, direct mail, signage, point-of-purchase displays, business cards, banners and various other design work. Thinking about outsourcing your graphic design projects, or have questions about taking your brand to the next level? Contact us today to learn more about how our team can help your business. As human beings, we have a long and storied history of using the written word to spread a message. It’s basically in our DNA. Neanderthals took to the cave walls of modern-day Spain and shared stories of their hunting conquests. Eventually, we discovered marketing and advertising. It turned out that writing really interesting stuff could help companies drum up more business. The term advertising is actually derived from the Middle French word ‘avertissement’, meaning a written statement that draws attention to something. John Deer is arguably the brand they are today because they decided to publish a quarterly magazine with really great content about farming, their latest equipment and of course advertising. It probably wasn’t cheap to produce, but it worked really, really well. Eventually, Al Gore invented the Internet and then everything changed, right? Like with fashion, vinyl records, and Pet Rocks (maybe someday); sometimes old can become cool again. Marketing has seen a lot of change over the last decade and a bit with the introduction of the Internet and now mobile marketing. 2018 is the year of content marketing but so was 2017 and probably 2019 too. In the past (long before Facebook and fake Russian news), the news was transmitted through telegraph lines, the term the ‘newswire’ was coined to describe this process. It was worse than trying to use dial-up Internet back in the 90s’, telegraph lines would fail often and it wasn’t unusual for content to get only partially transmitted back to the newsroom. It was a pain, but things are much more reliable today. Brands have been telling stories for decades. Today we can instantly post content on a blog, share a story on Snapchat, or even broadcast a live 4k video stream on YouTube. With so many marketing distribution channels it can be easy to forget that the most important thing we can do as a brand is to share interesting and noteworthy content. Forget going viral, content marketing is all about staying memorable and relevant. Content marketing is more than a buzzword, and it’s not going anywhere. A good content marketing strategy keeps your current customers engaged with your brand and attracts new customers to interact with your marketing. Today’s consumer isn’t afraid to shop around, they are spending time researching for purchases large and small. The best way to capture today’s consumer is to build a sense of trust with your audience and content marketing can establish your brand as a source of information. Well-written content that’s posted on a regular basis will make you a trusted authority in your market. There’s a reason why people pay attention to Don Cherry when he talks about hockey during the intermission; people turn to experts to answer questions. When you answer their question they trust you, regardless of what your suit looks like. You know your why your business is great and how you can help people through your products or services, but most people have no idea what you do. Content marketing gives your brand a microphone to share your story with the world. Video, social media, blogs, web pages, white papers and various other digital marketing tools can instantly broadcast your content to a local market and beyond. Google also wants to find experts and they are constantly reworking their complex algorithms to present useful content to searchers. Regularly posting fresh and relevant content will also help you rank higher organically in Google, this is an excellent way to gain free and highly-qualified traffic. Good content will make other websites link to you. Not only will this instantly get you more qualified traffic, it will help you rank higher in Google. Sure, there are some technical SEO strategies that can help you rank higher, but the best way to stay relevant in Google search is to constantly solve real-life problems for real-life people through your content marketing. Getting more traffic to your website or more Likes on your Facebook post is great, but it doesn’t necessarily lead to gaining more business. Every marketing campaign needs to eventually generate leads. Content marketing is unique because it enhances all your other marketing efforts by educating people on the work you do. That’s why it’s important to understand your audience and pump out content that addresses their needs. You want your content to captivate people to the point where they will remember your brand when it comes time to buy something. Try to produce content for the various stages of your customer’s buying process, this will help keep your brand top-of-mind throughout the entire cycle. Don’t put all of your eggs in one basket, don’t be afraid to mix it up and try posting different types of content. Tools such as Google Analytics can give you some excellent insight into how people interact with your content. The best content marketing converts customers into advocates of your brand. By nature, people are thankful when you solve a problem for them and they are happy to pass along the information to others. That quick video you created on your phone could get shared across social media if it solves a common problem. People are proud when they find something interesting online and they are not afraid to pass it along if they think it’s worthy. You really don’t need a DeLorean to understand that regularly producing good content will be essential in achieving positive marketing results in the future. A strong content marketing plan will establish your brand as a leader and trusted source in your industry. Producing content can take a lot of work, but it’s one of the best marketing investments you can make. We get to work in the Golden Age of Marketing, but some old school thinking can really improve the bottom line. The platforms may change over time, but people will still seek the advice of experts when shopping. Why shouldn’t it be you? To read more about our Content Marketing Services please click here.